Dedicated Indirect Jobs Greenleaf Desert View Power is responsible for approximately 130 dedicated indirect jobs, including fuel suppliers involved in collection, processing and transport of biomass fuel. 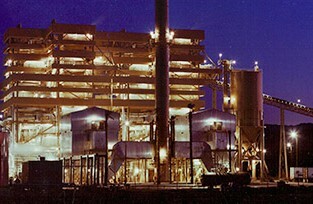 (GLP) acquired DVP in 2011. 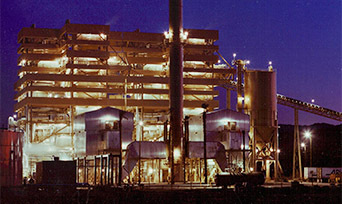 DVP utilizes two Combustion Engineering circulating fluidized bed boilers and one Siemens steam turbine generator set to generate between 350,000 and 375,000 MW’s annually. The boilers are equipped with multi-clones and electrostatic precipitators for particulate control ammonia injection for NOx control, and limestone injection for sulfur dioxide control. DVP operates under a Title V Permit and is compliant with all Federal, State, and Regional regulations. DVP burns between 360,000 and 390,000 bone dry tons of urban wood waste, orchard removal trees, and fruit pits. The majority of the fuel is in the form of urban wood waste that is diverted from regional landfills allowing local jurisdictions to meet AB 939 mandated recycling diversion targets. Orchard material is consumed at DVP to satisfy air quality offset requirements. In 2018, DVP had 32 Full Time Equivalent employees. Paid salary and benefits of approximately $3.7 million. Purchased goods and services of approximately $16.7 million. DVP paid approximately $285,000 in property taxes.